It is no longer a news to website owners especially bloggers that if they want more traffics for their website from search engines, they need to work on improving their website Search Engine Optimization (SEO). 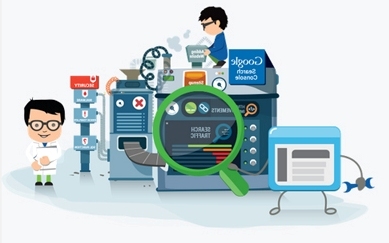 Here are three ways in-which Google Search Console can help you accomplish that. Sitemap: is a structurer display of all the links in your website. Submitting one to Google Search Console (or Search Console) is a sure way of telling Google about all the webpage in your website that you will want them to crawl and index. Because sitemap are mostly in structurer form, this will help google understand your content the more meaning the your website SEO is being boosted. Remove URLs: if a URL in your website is having high bounce rate, then know that google will have not choice than to desist from recommending it, and if something is not done fast, it will also affect negativity how google recommend other pages in your site to the users, thus the Remove URLs feature allows you to remove URL that is performing badly from google index so that it will not destroy your site SEO. HTML Improvements: is your website having duplicated content? Is the meta description of your website pages SEO friendly? these and many others are the HTML Improvements tool of Google Search Console can help you resolve. So you see, Google Search Console is not just a tool you use to manually submit new pages to google for indexing, it is a key to have a good SEO for your website.